[su_column size=”1/2″ center=”no” class=””]What is it? 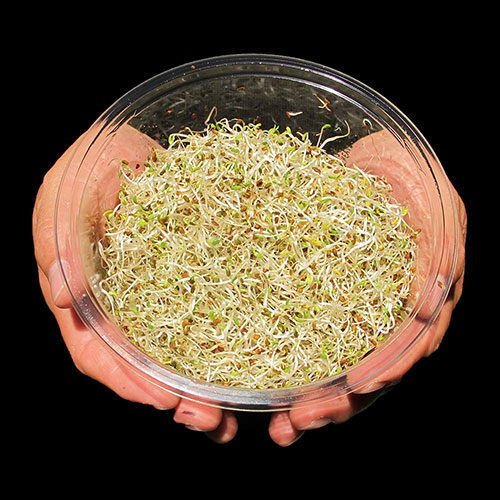 These beautiful green sprouts have a firm structure and taste sweet with nutty notes. 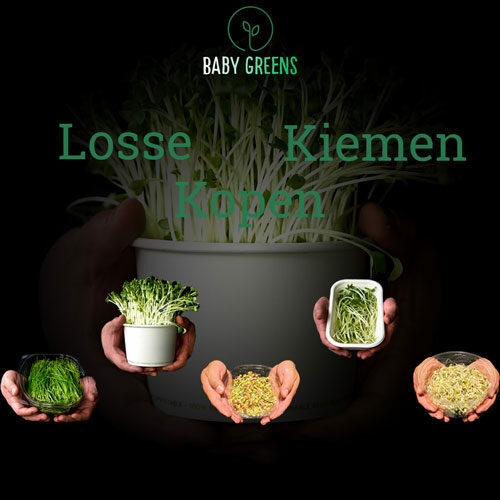 Rich in vitamins B3, B5, B6, B11 (folic acid) and source of vitamin E and magnesium. This sprout is a slightly lesser-known sprout, but certainly a valuable addition because of the richness of vitamins. Serving tips Due to the firm bite, this sprout vegetable can be used perfectly in stir-fry dishes, soups and tasty (raw) in salads. Because of the structure and bite they also taste great as a snack! Do wash before use. 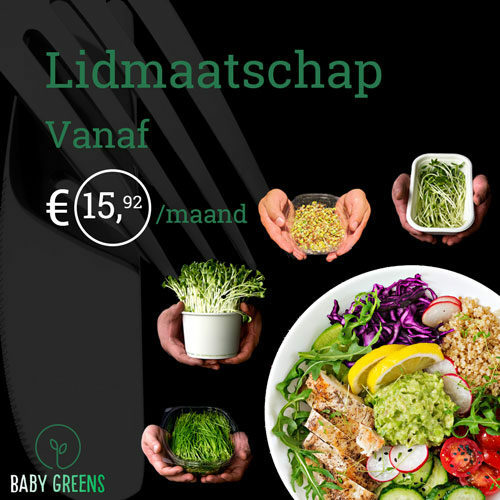 These greens are loaded with nutrients including Vitamin A, which is essential for eye health, and more Vitamin C than the root! 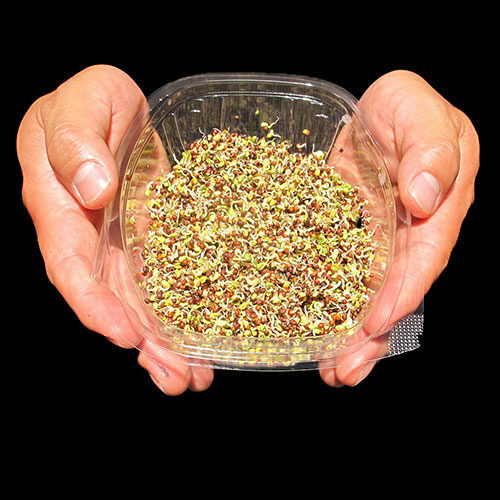 The mustard microgreen is a good source of vitamin A, C, E, energy and carbohydrates, proteins, dietary fiber, folate, niacin, riboflavin, thiamin, sodium, potassium, calcium, copper, iron, magnesium, manganese and zinc.